Bridezillas is back! Today, WE tv announced they are rebooting the cancelled TV show for an 11th season. The reality series chronicles the hectic lives of women who are planning their upcoming wedding. The show debuted in 2004 and ran for 10 seasons before being cancelled in 2013. Now, WE tv is casting for a new season of Bridezillas that is slated to premiere in 2018. NEW YORK, NY – July 13, 2017 – The wedding show that spawned a new television genre and became a cultural touchstone is returning to WE tv. The network announced today that it will reboot its long-running hit show “Bridezillas,” with 10 new hour-long episodes set to premiere next year. 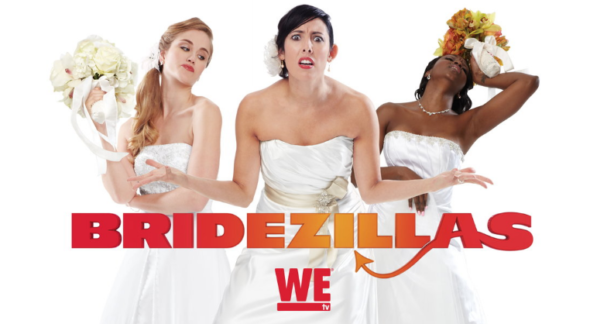 The original “Bridezillas” ended its run in 2013 after 10 seasons and launched spin-off series and hit WE tv franchise “Marriage Boot Camp,” which recently concluded its eighth season on WE tv. Casting is currently underway across the country for the 2018 series. The series famously spotlights so-called ‘normal’ women who have turned into “Bridezillas” by their upcoming nuptials. Each episode will follow two hilariously unhinged brides as they hurtle toward the altar. We meet the brides and their grooms, learn their backgrounds, relationship histories, and see how the wedding has taken over their lives. As we move closer to the brides’ big day, tempers and tensions flare, the patience of loved ones is tested and monumental meltdowns become inevitable as our ‘Bridezillas’ are pushed to the edge – all in the name of planning the ‘perfect’ wedding. What do you think? Did you watch Bridezillas? Will you catch the upcoming reboot? More about: Bridezillas, Bridezillas: canceled or renewed?, WE tv TV shows: canceled or renewed?